The Big Cedar Paint out was awesome. 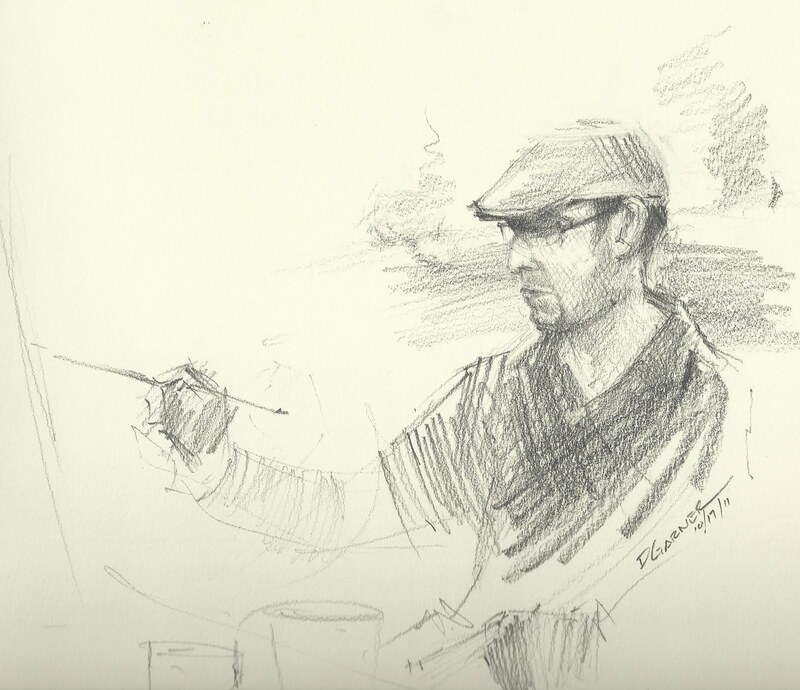 After painting outside it is hard to get motivated to paint inside but I have work to do, so I decided to warm up with a quick sketch of Jason Sacran working during the paint out. He is a very talented artist and the winner of the Artist Choice award.